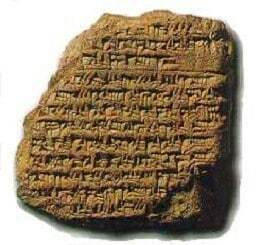 The Epic of Gilgamesh is an ancient manuscript more than 3.000 years old. It was carved in 12 tablets by the Sumerians in Mesopotamia. More of the stories in Gilgamesh have close relationship to the Christian Bible. For example the Garden of Eden and Noah´s Flood seems to derive from the Epic of Gilgamesh. It has also inspired Homers works, parts of the Iliad for instance has some interesting similarities. this is such a wonderful story to come across. it is filled with knowledge on the behavior of a nephilim and the ways of such an ancient king that looks queer from our times of now. it is funny, epic, and brews questions that get answered while we read along.